The Port of Thunder Bay is the Western Canadian terminus of the St. Lawrence Seaway System, the largest inland waterway in the world. The opportunities are largely determined by the Port’s strategic role as it relates to the Seaway corridor. The Port was built to provide access to European markets for Western Canadian grain producers through the longest grain supply chain in the world. 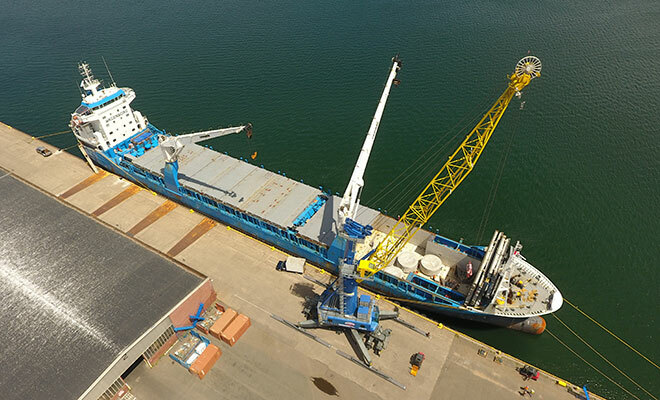 An integral part of the Port of Thunder Bay’s strategy is expanding upon the successful project cargo corridor, facilitating the movement of dimensional cargo to and from Western Canada and international markets. The Port coordinates the activities of stevedores, trucking companies, equipment operators, railways and fabricators to ensure that project cargo is handled efficiently and that shippers derive value out of shipping cargo via Thunder Bay, The Superior Way West. The mission and vision of the Port of Thunder Bay will be realized through the strategic objectives, which form a framework for decision-making. The Port strives to diversify cargoes to reduce dependency on select commodities. Continuing to expand the Port’s profile through strategic partnerships and promotion is critical to its success in a dynamic global market. The Port has prepared a significant 5-Year Capital Plan in strategic investments. This includes the expansion and reconfiguration of the general cargo terminal to capitalize on future cargo growth opportunities. To promote and invest in the efficient integration of marine, rail, and road transportation systems and to support economic development. The Port of Thunder Bay and the Seaway is the preferred marine route for European trade with Western Canada. Thunder Bay Port Authority is an important facilitator of commerce in the region. The Port of Thunder Bay has world-class facilities that efficiently handle 9 million tonnes of cargo annually. Facilities include 8 grain elevators, dry bulk terminals, liquid bulk terminals, a general/project cargo terminal and a shipyard with dry dock. 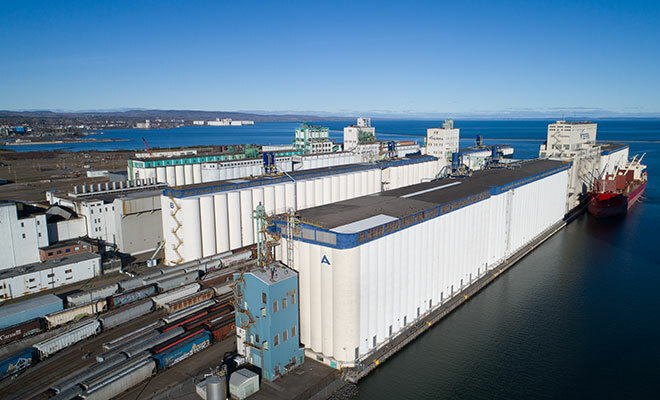 Largest grain storage capacity in North America and the fastest grain ship turnaround time of all western Canadian ports.